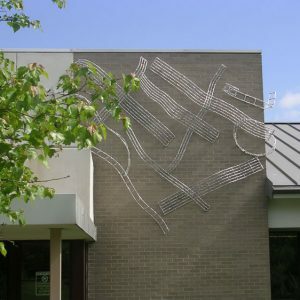 Works shown are from the public art exhibition titled Reflections in Blue Springs, Missouri. 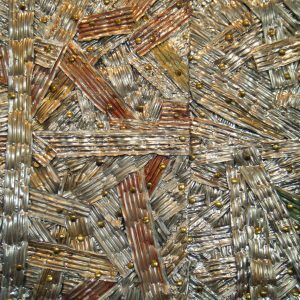 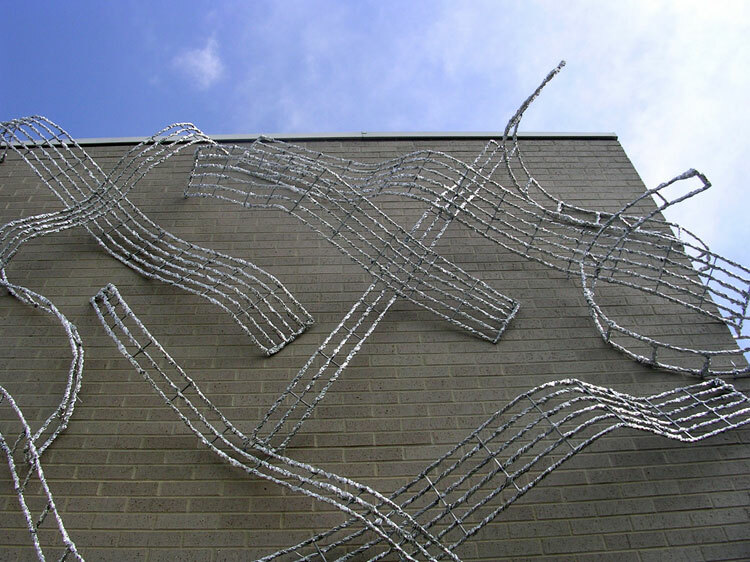 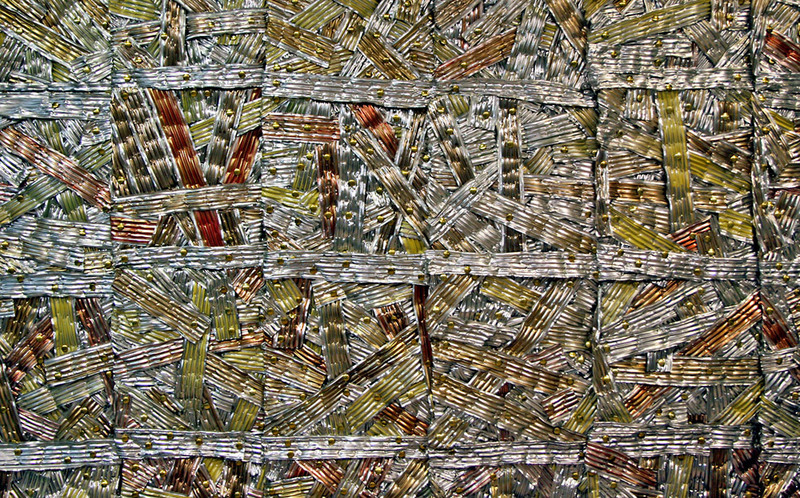 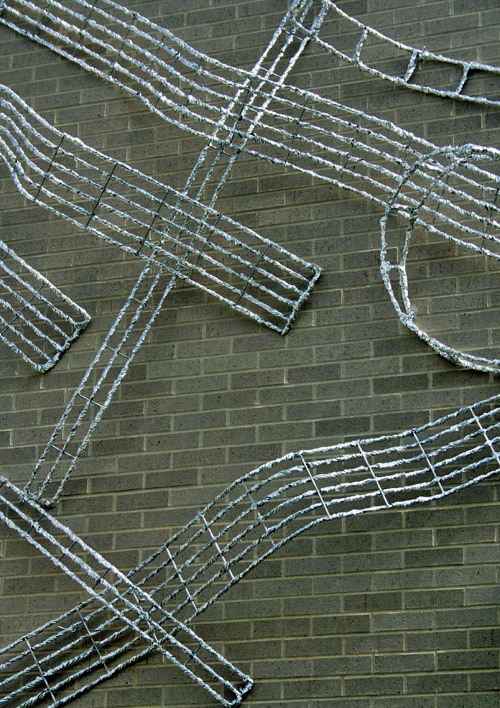 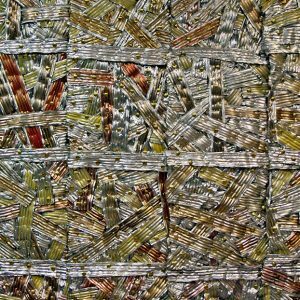 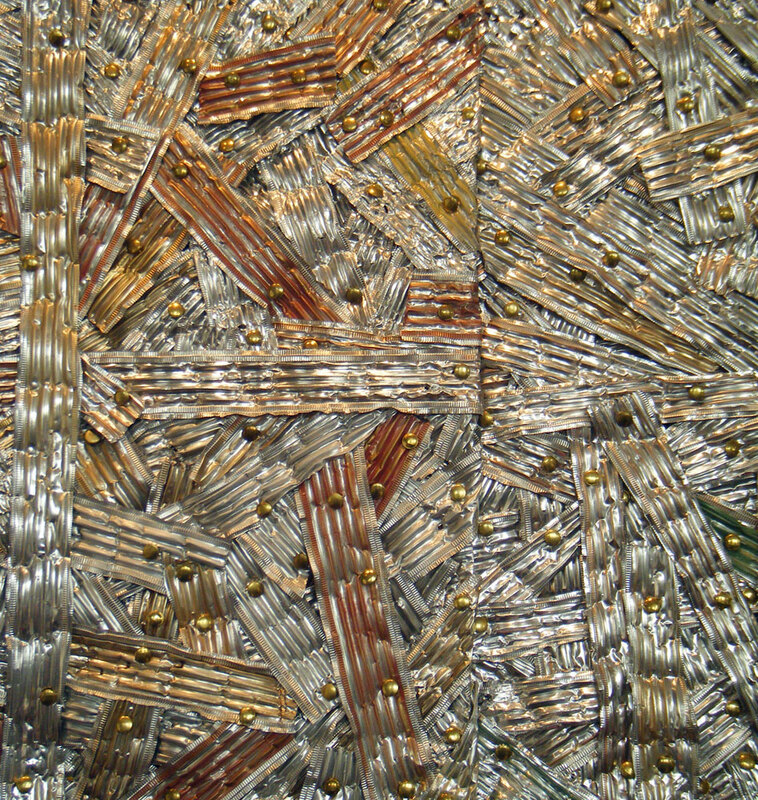 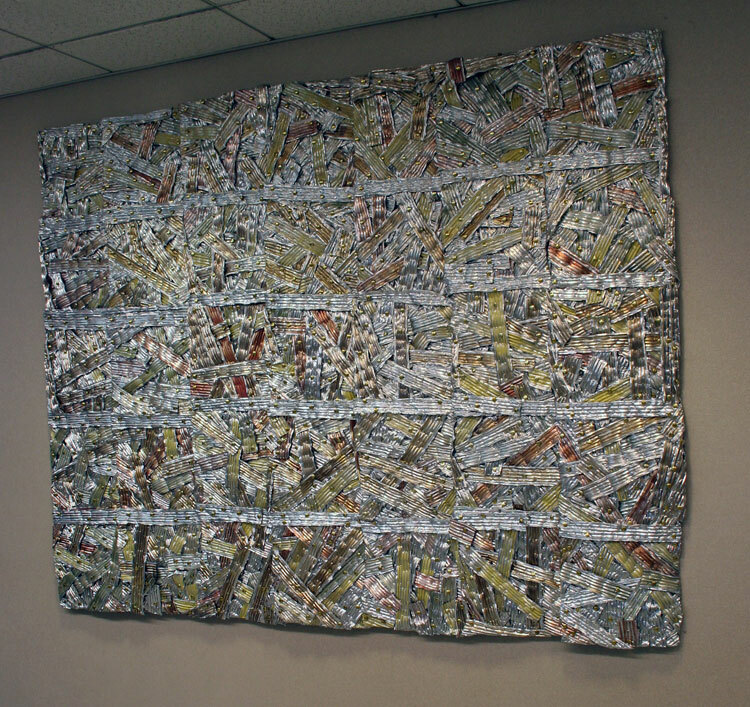 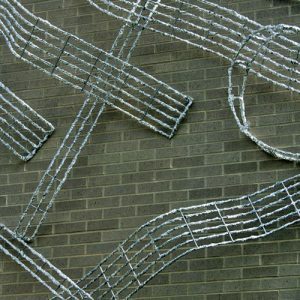 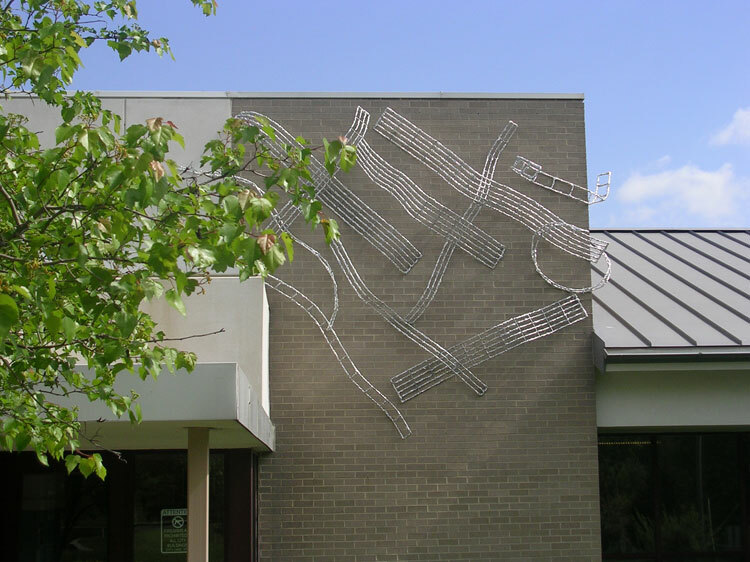 The artist created a combination interior/exterior installation utilizing welded wire grids and aluminum ribbon. 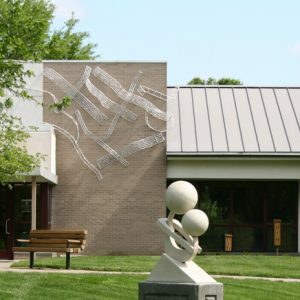 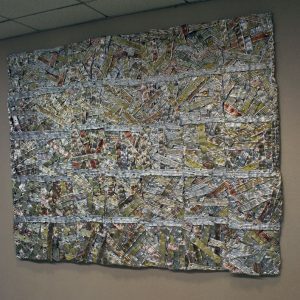 Bales was one of four artists selected from a national pool to exhibit sculpture for six months at Rotary Park in Blue Springs, Missouri. 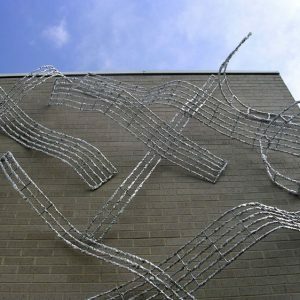 The works were then purchased for permanent public art display.